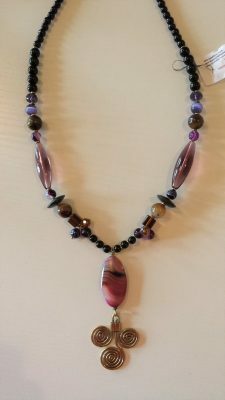 This semi-precious stone necklace measures 24″ in length when opened. 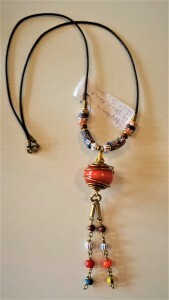 It is made up of semi-precious stones and hand strung glass beads. Necklace is made up of lavender and rich purple glass beads, tiger eye, hematite along with other semi precious stones. 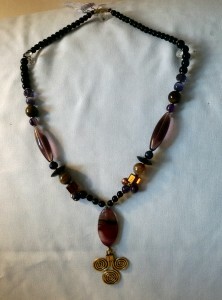 It has a brass closure and a 1.5″ hammered brass spiral medallion that is attached to a flat semi precious stone. 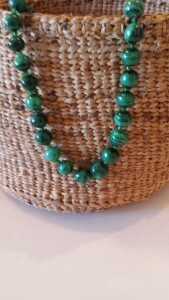 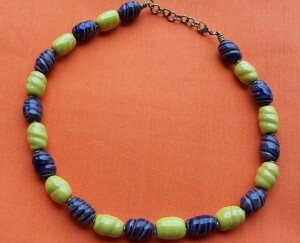 This necklace made by Kimani, a Kenyan Artisan. 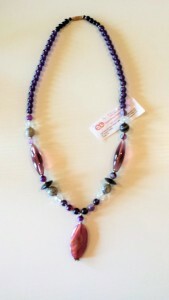 Tags: kenyan artisan necklace, purple glass bead necklace, semi-preciouse stone necklace.